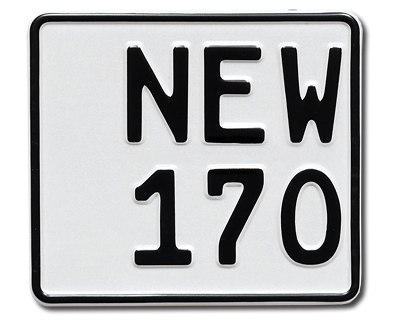 Showplate.se provides at the moment aluminumplates and decals in several sizes and colors. We also have license plate holders adapted for own companytext or plate holders without text. Later on, we´ll extended our products for our business costumers. More information about that enters later. Contact us for a quote or if you have any concerns about our collection.